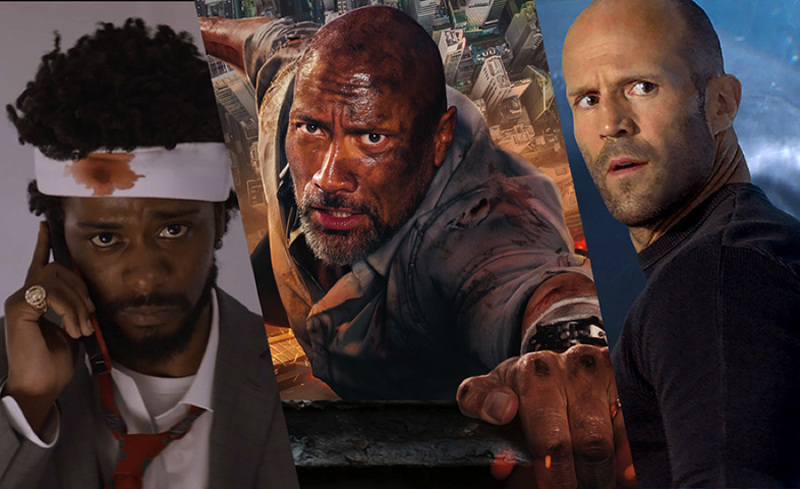 Welcome to our weekly recap of new movie trailers that have debuted this week dive in for all the thrills, laughs, and first looks below! Universal Pictures has debuted the final Skyscraper trailer, featuring star Dwayne Johnson as former FBI Hostage Rescue Team leader and U.S. war veteran Will Sawyer, who on assignment in China he finds the tallest, safest building in the world suddenly ablaze, and he’s been framed for it. A wanted man on the run, Will must find those responsible, clear his name and somehow rescue his family who is trapped inside the building…above the fire line. Directed by Rawson Marshall Thurber, the film opens July 13. Warner Bros. Pictures has revealed a new TV spot for The Meg, starring Jason Statham and one big, nasty shark. Directed by John Turteltaub, the long-awaited action thriller will debut in theaters on August 10, 2018. Annapurna Pictures has released a new featurette about director Boots Riley for his upcoming film Sorry to Bother You, a new comedy starring Lakeith Stanfield and Tessa Thompson set in the cutthroat world of telemarketing. The film is now playing. Universal Pictures and Blumhouse Productions have released a new The First Purge featurette that takes you behind the carnage. The prequel to Blumhouse’s hit franchise is now playing in theaters everywhere. A new clip for the film The Spy Who Dumped Me has been released, which finds leading ladies Mila Kunis and Kate McKinnon on a hilarious car chase with an enthusiastic getaway driver. The action comedy is slated for release on August 3. Amazon has released a new Tom Clancy’s Jack Ryan TV spot that gives some Presidential inspiration for his fight on terrorism. Starring John Krasinski, the new series will stream exclusively on Amazon Prime starting Friday, August 31. To mark the Fourth of July yesterday, Netflix has released a new promo video for the final season of House of Cards as Robin Wright’s Claire Underwood celebrates her own Independence Day. The sixth and final season premieres this fall.